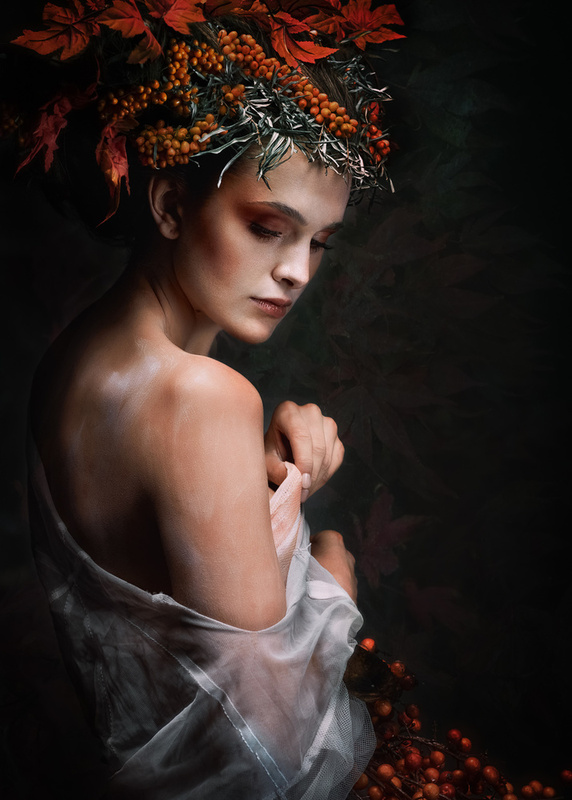 Siegart's brilliant and unique portraits all are a celebration of human beauty and grace, combining aesthetics and expressions. To Siegart, the lines on the face and body, the colours and patterns all form an exciting unit in which she can represent and recreate the special uniqueness of her models in all their beauty.She is not satisfied by reality alone, and shows us strange worlds by expressing darker feelings with a surreal and most artistic touch. 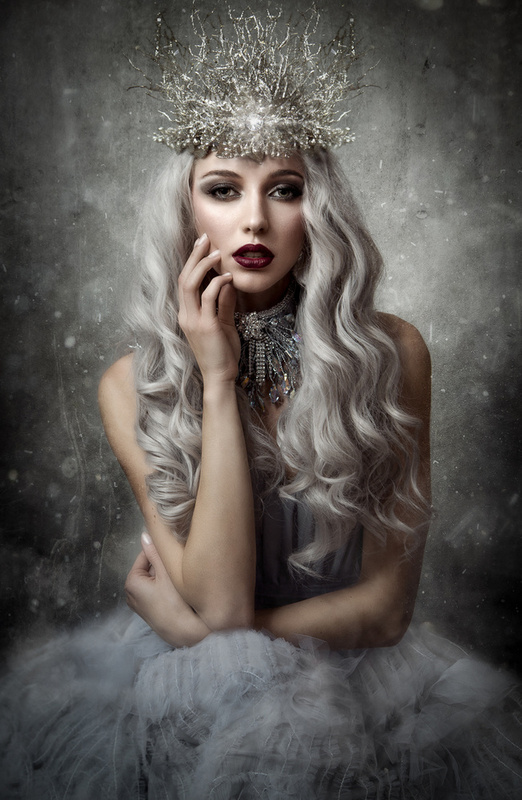 Let yourself be enchanted by Siegart's fantastic world and learn more about this great lady. Briefly tell us about yourself, your hobbies and other jobs, dear Siegart. I was born in Germany and grew up in South Africa and Namibia. In my professional life, I have a lot to do with numbers, sales figures and excel charts, so photography is quite a different world for me. But I am very happy that I have the opportunity to work in both worlds. I think growing up in a foreign country with a completely different culture has made me more tolerant and interested in other people. And it has influenced my view of nature a lot. I still have memories of the heat, the strong colours and wonderful flowers in Africa. And whenever I come across similar nature, for example in southern Italy or Cyprus, when I feel reminded of my childhood, I am so thrilled and happy. And I love people from Africa when I meet them here. The “joie de vivre”, the way of moving and encountering life is so different from ours. It’s very lively and inspiring for me. When I was young, I liked painting but didn't feel talented enough and I wasn't patient enough to study for as long as it would have been necessary to paint really good. Photography has enabled me to combine both, creative expression with results that satisfy me. I take pictures and then edit them with Photoshop. I love to turn a photo into a picture. Sometimes it feels like I am indeed painting again as I used to, when I was young. I came back to photography by pure coincidence. I was very fortunate to have some time of in between two “normal” jobs, and I used this free time to start with photography. And I haven’t stopped since. I love to take photos. It started with flowers, beautiful flowers, magical grace, beautiful colours and shapes. For a long time, my main source of inspiration was to create compositions of light and shadow, sharpness and blur. At first, when I started photographing people, especially women, it was my concern to express beauty, grace and passion. I've done a lot of portraits and discovered Photoshop about 3 years ago. A wonderfully new great world of possibilities of image design opened up for me. To this day, I love to photograph people and create beautiful portraits and pictures with the aid of photoshop. Developing “my“ art and style is an exciting process. I really love pictures with female models. They often seem to have a secret and there is something dark and mysterious around them. Also grace and elegance are important for me. All of this I want to capture in my photos. Sometimes it works very easy, and sometimes it is long and hard work. 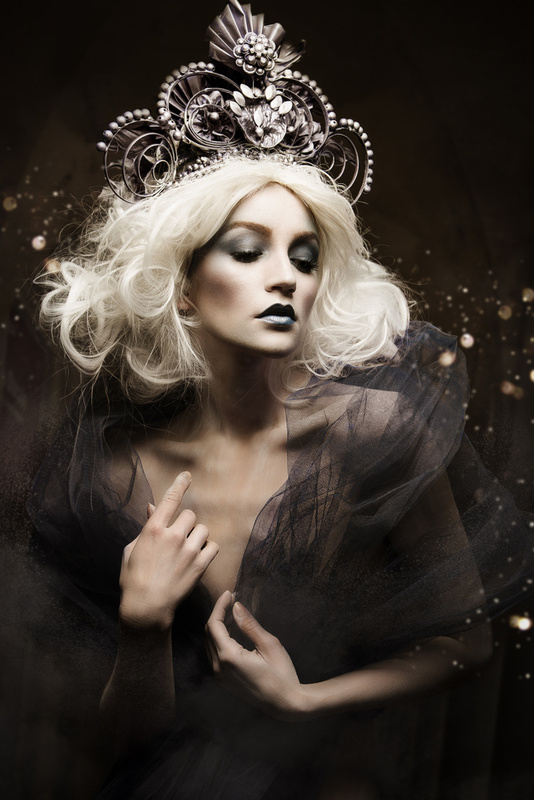 Creating an image is an intense process and if the result corresponds to the inner vision, I am completely happy. I love the possibility to play with backgrounds and textures and various other elements in a photo. To create new worlds in my photos. I try to feel how much additionally elements are good for a photo. What is it, that gives the photo something new. What does it lift higher? And what just simply is too much. I've worked a lot in studio over the past few years. At present, I am also busy with outdoor photography and natural light. Light is a substantial important issue for me. The model with which I take the most photos and create the corresponding pictures is KC. She is both beautiful and creative. The most beautiful and spectacular make-ups are from her. I like working with different make-up artists. They broaden my horizons and expand my possibilities. Recently I have done a lot of work with Yvonne Kaspar. She is a wonderfully creative make-up artist. And I enjoy working with different models. It's always an exciting and fascinating moment to see how the collaboration between stylists and models and me manifests in my work. 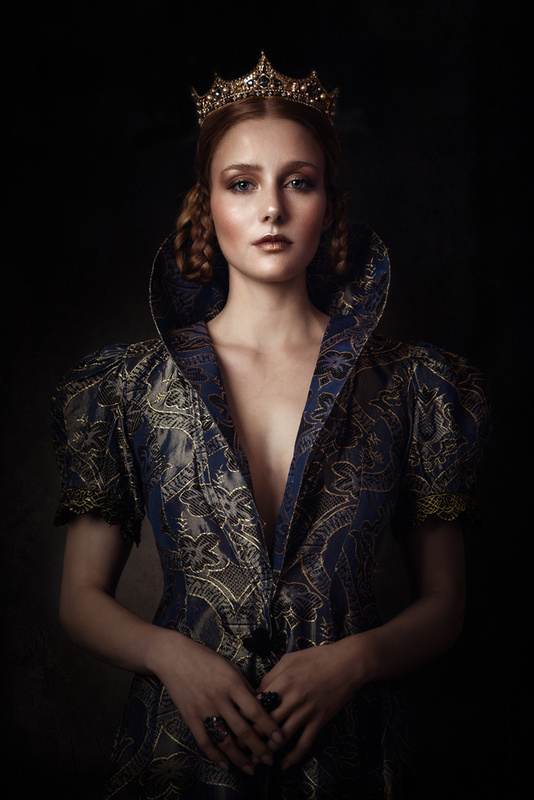 Why are you so drawn by Artistic Portrait Photography? Really at the very beginning of my "career" as a photographer I was at a workshop for Surreal Art. There I met KC, the photo model, who became a kind of a muse for me. In her I saw everything that became important in my photography: her beauty, her grace and her creativity inspired my work. It became clear to me that what I wanted to express could not be represented by reality alone. It was much easier to express that by showing strange worlds, by expressing darker feelings with artistic, partly surreal photography. The expression of feeling is absolutely essential for my pictures. Without that I wouldn't need to take any pictures, but the knowledge of the technical possibilities of Photoshop expand the possibilities in a wonderful way. I don't see myself technically perfect, but technical skill is very important to me. It is different: I often photograph in the studio and often work with the same light settings. Outside, I look for places that match my pictures. But at the moment they have to be quickly accessible and the overall effort should not be too high. I started with a Canon Eos 77d and currently I am using a Canon Eos Mark IV. Most often I use the standard lens 24 – 105 mm. The portrait lens 85mm and the Canon lens 70 – 200mm. 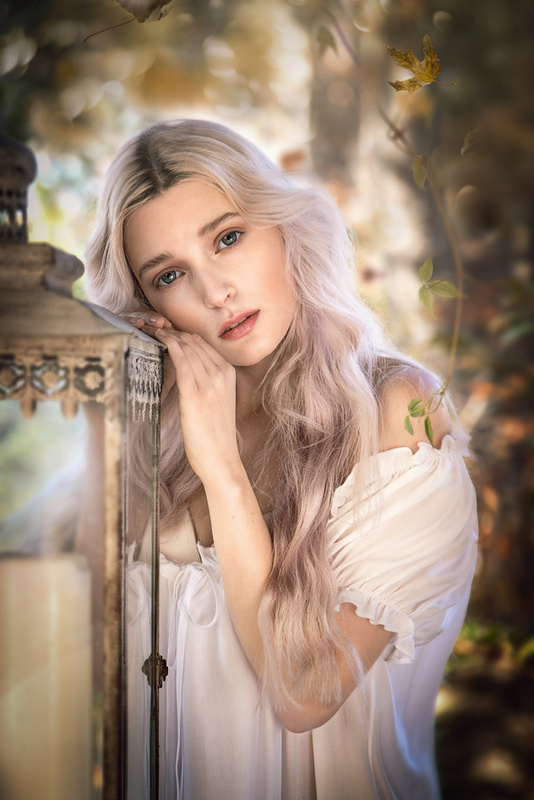 Lightroom, Photoshop, Infinite Color Panel and the Retouching toolkit of Conny Walström and different actions for instance “fine art actions”. My typical process starts with a photoshoot. When I’m working with a model, I try to connect with her, to create a picture that combines aesthetics and expression. I start of with a careful skin “treatment”. This gives me the possibility of a slow approach, of getting to know the heart of the picture. After that I look for a background, a texture, or sometimes even 10 overlaying textures, depending on the creative idea or process. I'm looking for Flaires, Patterns, Overlays and Bokeh’s. I have a huge library of them. This can easily take hours. When everything is done, I give the whole picture a colour look, that fits, so all the parts harmoniously join in one arrangement. What is your most important advice to a beginner in Artistic Portrait Photography and how do you get started? Practice, Practice, Practice :-) Study photos from other photographers that you like to find out what you like. Get a feel for when an image works and why it works. Trying to get better constantly. Attend workshops and listen and watch. And be patient with yourself. Digital photography can give you the impression that photography is easy. For a quick snapshot or selfie that might be true, but that doesn’t get you a really great picture. It really helps to watch tutorials and see how great photographers pay attention to every little detail, every shadow, every point of light, every small expression in the face or in the body. I still see myself at the beginning. That's why I attend workshops of well-known photographers who impress me and have their own handwriting. To see and experience how they deal with the setting, the model, the light, and how much effort they spend on a photo, so it becomes unique. And watch many tutorials to explore photography and image editing. To expand my possibilities and to bring my visions into reality. I learned an incredible amount about posing from Sue Bryce. To choose the one great picture out of a series I learned from Peter Lindberg. 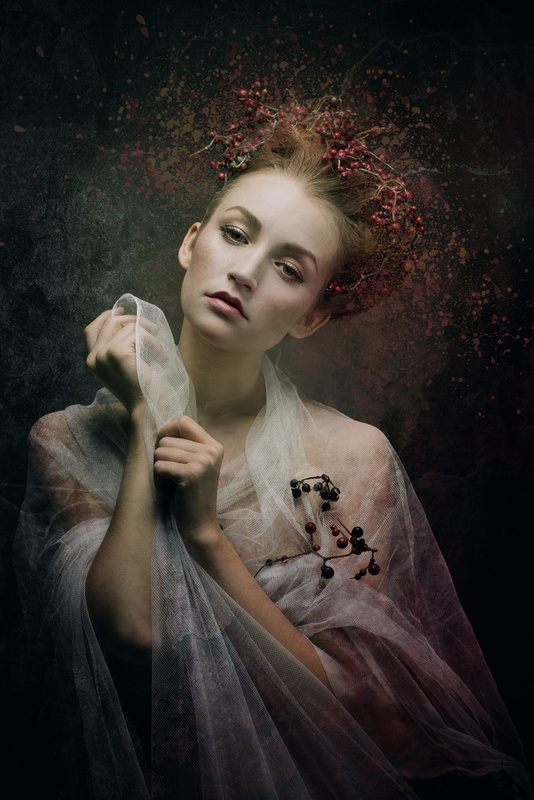 I am inspired by Brooke Shaden and Bela Kotak. 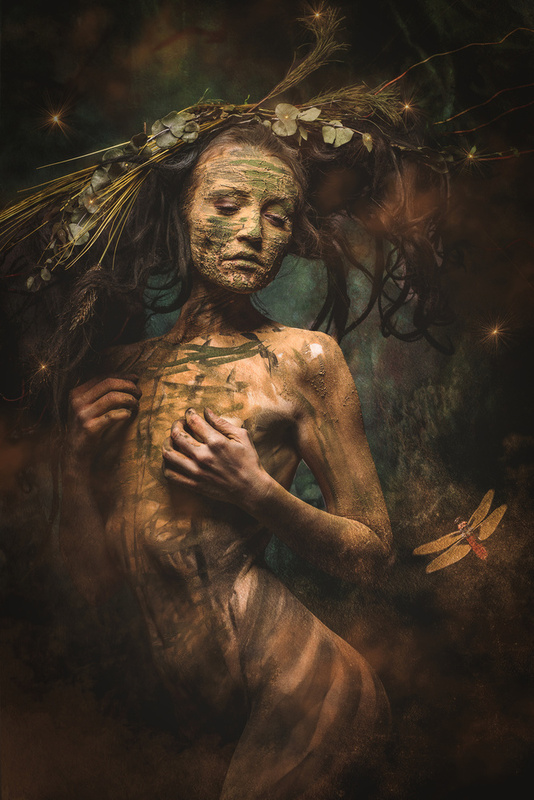 From Vogue cover photos and from Stefan Gesell, a surreal photographer in Germany. I’m a big fan of Paul Apakin and Annie Leibovitz. 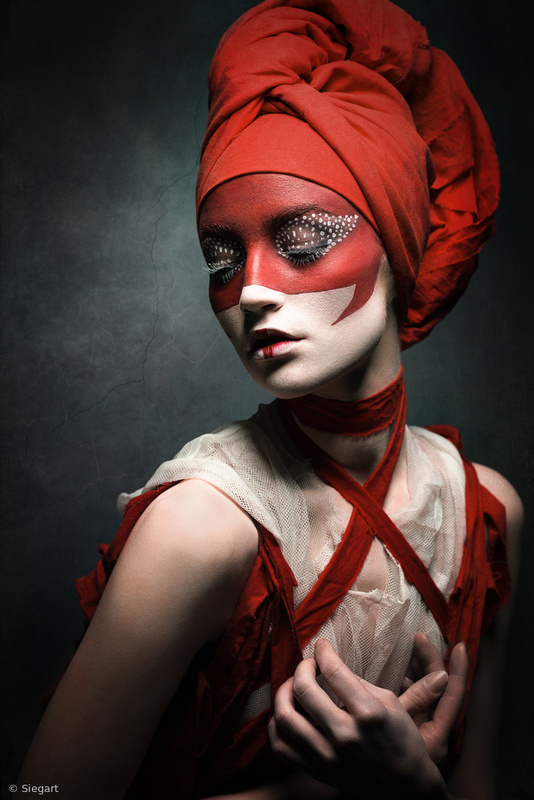 And I love the pictures of many Russian photographers, how they bring drama and expression into their portraits. There is still sooo much to learn. As I said, my feeling is that I am at the beginning. Not quite at the very beginning, but still learning. I always look at different directions, like to be inspired by fashion photography and am so happy that there is still so much to discover. My direction is clear at the moment: I make different kinds of portraits of young women. I don't know if it will stay that way. But all in all it is and remains artistic photography.It's no longer so easy with the goals: many goals have already been achieved, cover picture or gold medal or exhibition. I would like to remain as passionately interested as I am right now. I think I would like that very much. Develop myself further. I don't know what or where that will lead to. The main thing is that it inspires me. Describe your favourite photograph taken by you and why it is special to you? (Feel free to add the link even if it is not in your portfolio). My favourite picture is very often my current picture or one of them :-) but this picture is a very special picture for me: it is a very early picture of me, but I still love it today. 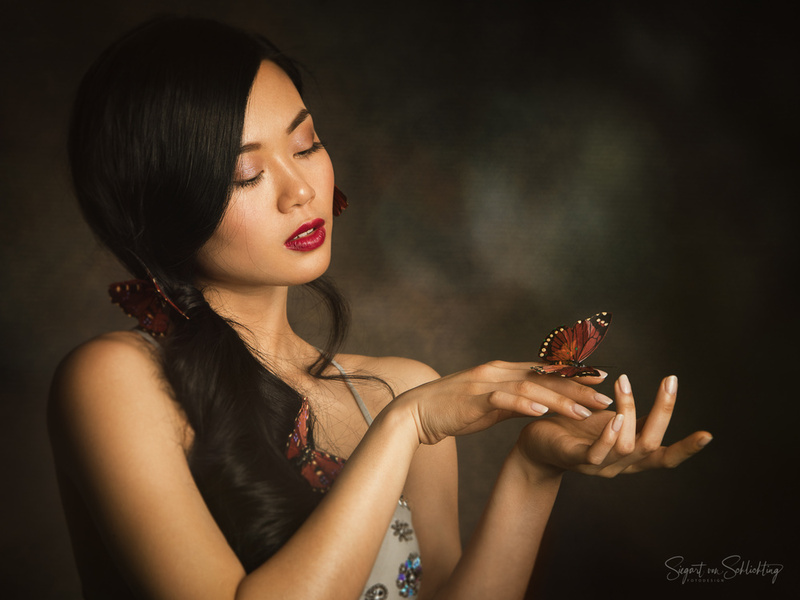 It shows in a very complete way my kind of photographing and editing and it expresses very completely what I want to express: grace, beauty, sadness and a secret mystery just beneath the surface. Is there anything else you wish to add and what do you think about 1X as a home base for your work?When I discovered 1x for the first time some years ago, I was still completely at the beginning with my photography. But it seemed like a kind of promised land to me: wonderful pictures and the idea to publish there was still completely out of my reach. I was really overjoyed when 1x published a picture of me for the first time and it is still an honour for me. 1x is a wonderful photo platform with wonderful photographers.